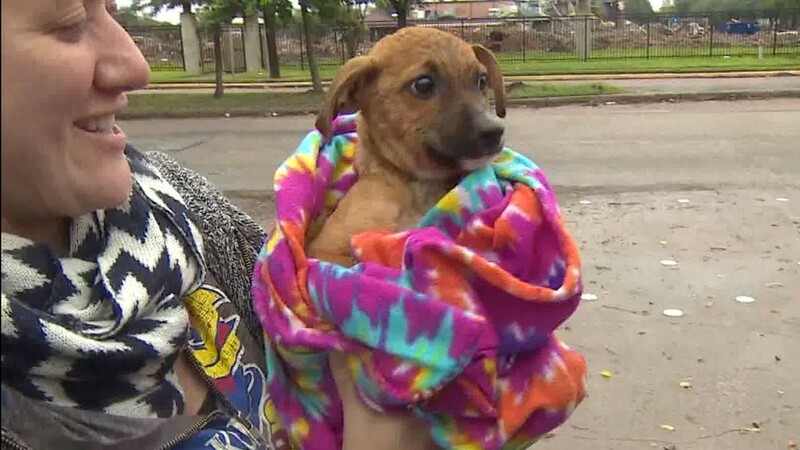 HOUSTON — Frantic animal lovers rescued two frightened puppies Monday that had been trapped in a north Houston storm drain for days. 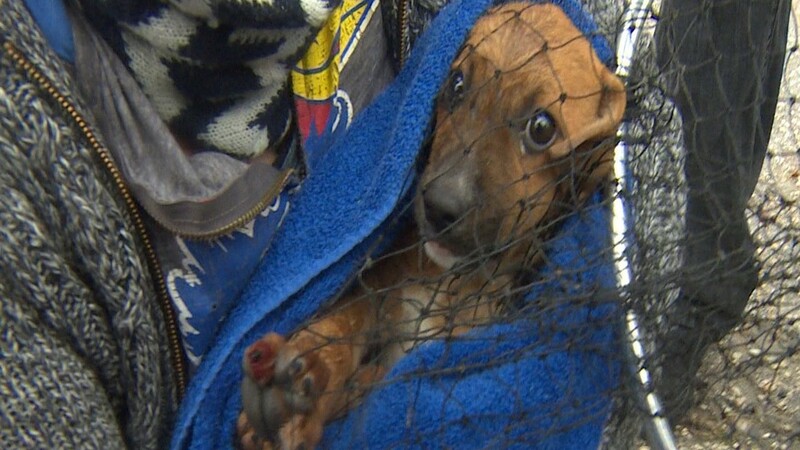 Cameras were rolling and cheers erupted when the little dogs were lifted out of the drain, several minutes apart. 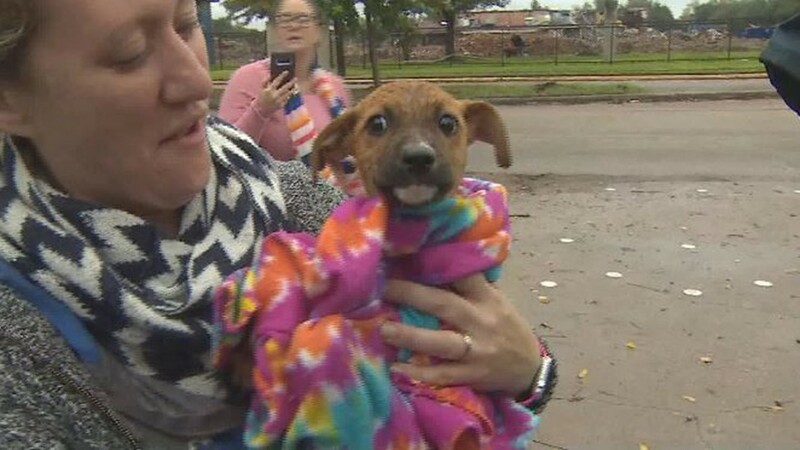 A small group of animal lovers came to the rescue of two puppies that had been trapped in a north Houston storm drain for weeks. 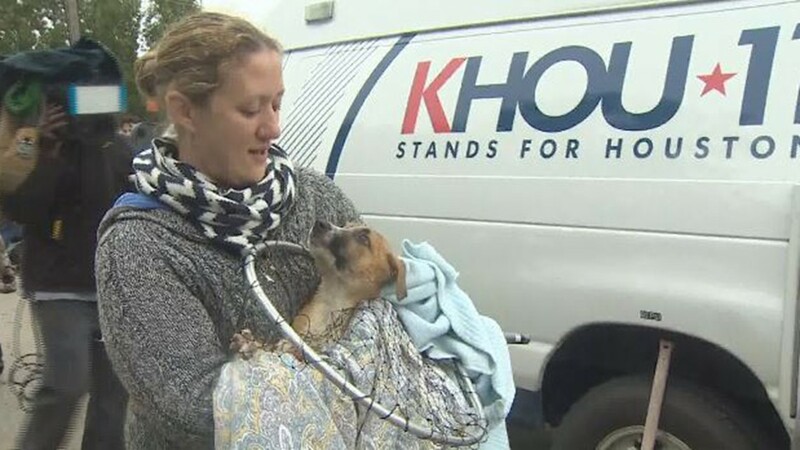 "Looks like she has bloody paws, she's shaking but she's in good hands now," said KHOU 11 News reporter Matt Dougherty, who watch both rescues unfold as he broadcast live on-air and online. 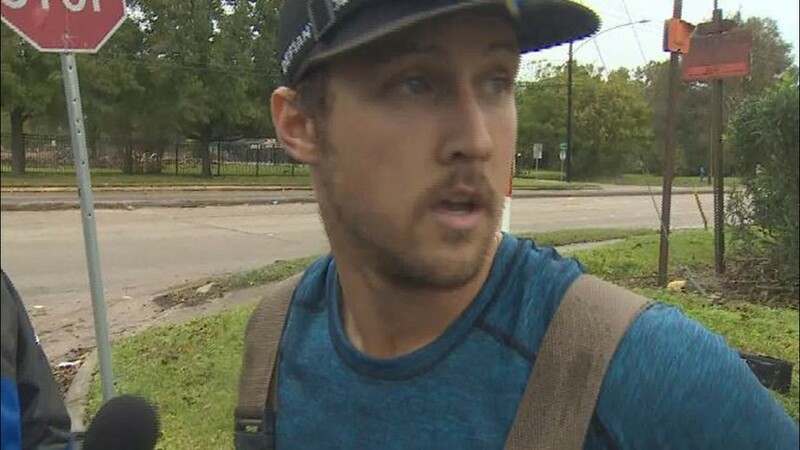 An animal rescue group teamed up with Daniel Mengden, pitcher for the Oakland A's, and Rick D'Amico, an Ironman veteran, to save puppies trapped in a storm drain in north Houston. 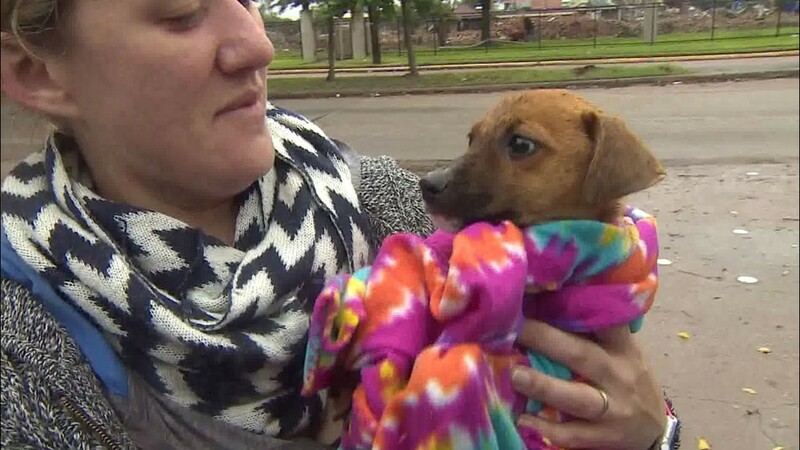 Rescuers wrapped the shivering pups in blankets and they appeared to be OK. They were taken to a local vet to be checked out. 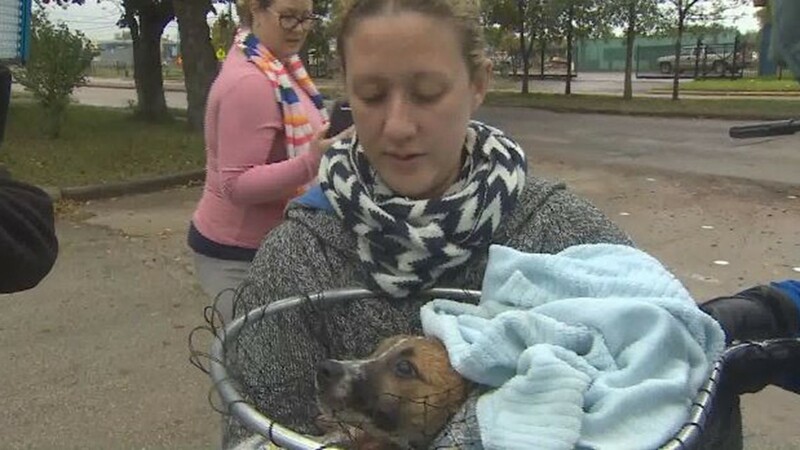 After weeks of frustration, members of an animal rescue group called Reggie's Friends teamed up with neighbors to save the dogs. 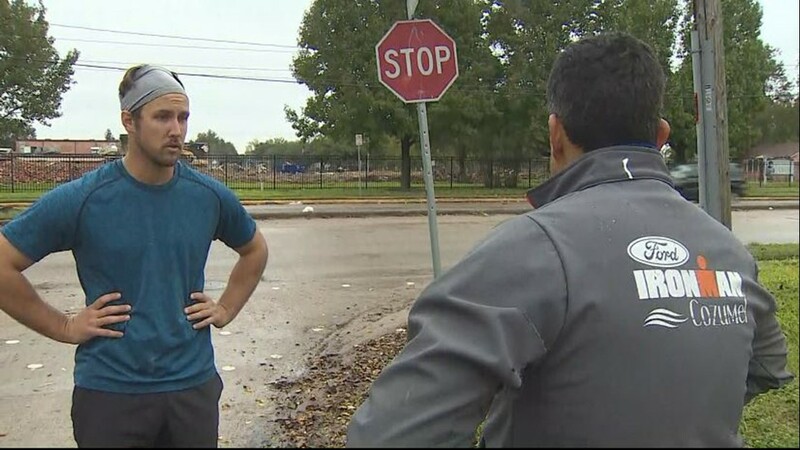 Residents said they'd been calling the city for help since Thursday. "We could hear them crying so we knew they were still alive," still Rick D'Amico. "You know they're hungry. You know they're potentially hurt because they fell a great distance," said LaChrystal Ricke, with Reggie's Friends. "No food, no clean water, and it's really hard." 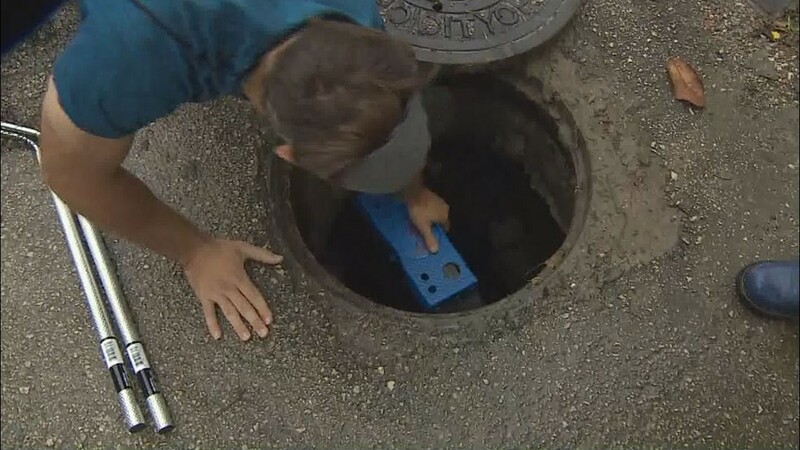 HFD and HPD crews came out Monday morning and popped some manhole covers to help locate the pups. They also helped search for awhile but eventually had to leave, according to the group. 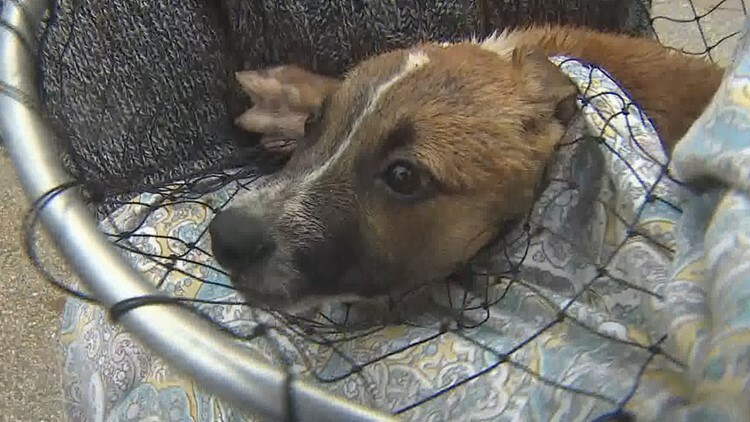 "The temps are gonna drop tonight, more rain is on the way and it's really hard to know that these puppies could die," Ricke said before the pups were pulled to safety. 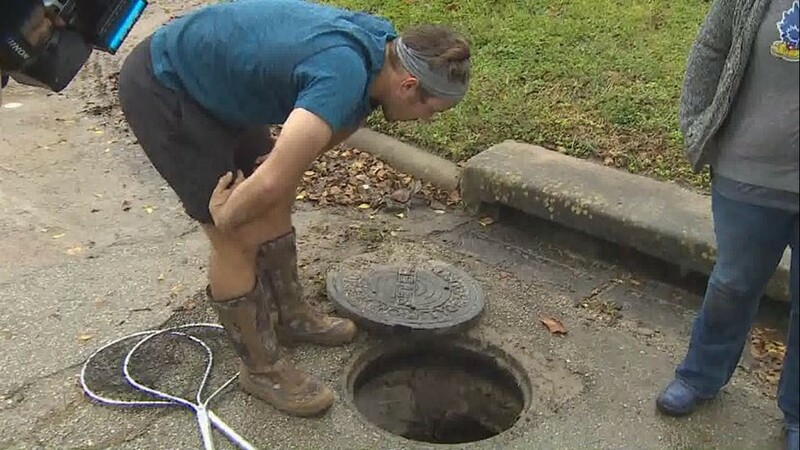 A KHOU 11 News team was in the area for another story and saw a group gathered around the drain. They stopped to help. D'Amico and Daniel Mengden, a pitcher for the Oakland A's, decided to put a ladder into the water to try and lure the pups to safety as they raced against time. 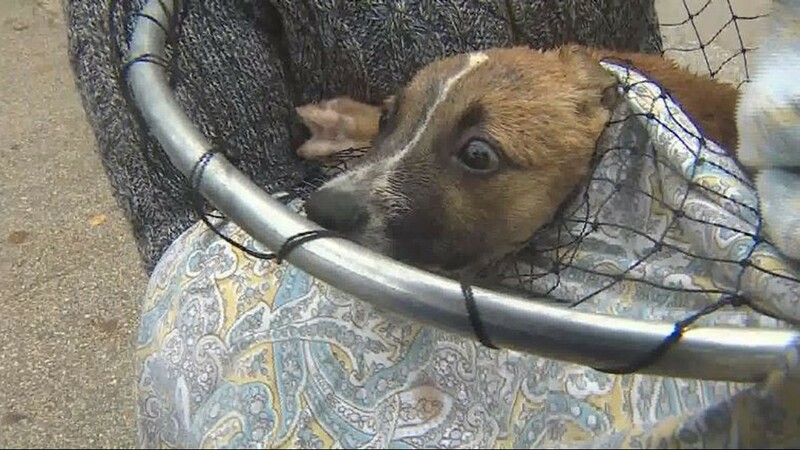 Friends tried to talk them out of going into the water but they were determined to save the dogs. 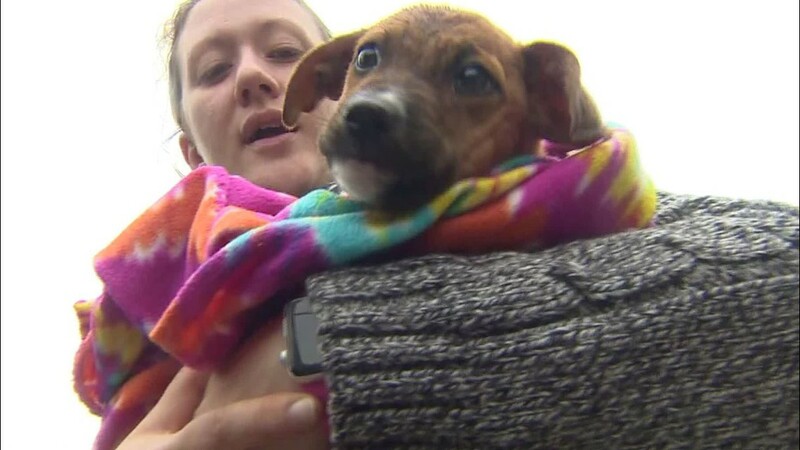 At some point, they realized the puppies had separated and were several hundred yards apart, further complicating the rescue attempt. 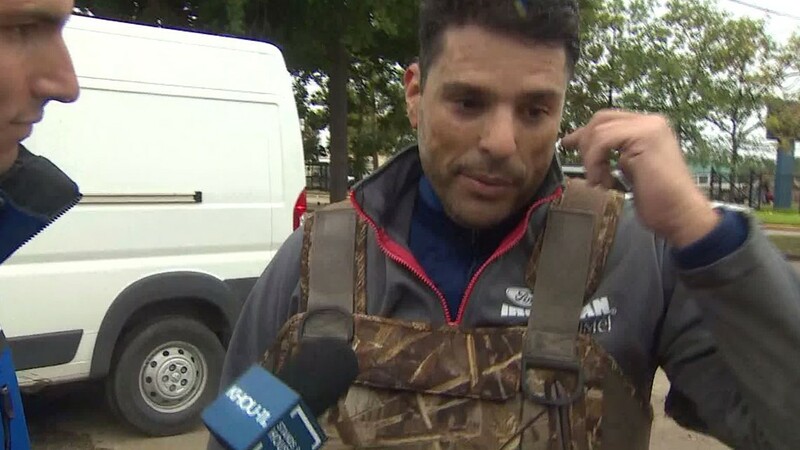 "I was whistling to them and they kept yelling and barking. Finally, it just got louder and louder and louder," Mengden said. But after an agonizing wait, they found the first pup and Dougherty scooped it out. A short time later, more good news. "We got the dog," he said. 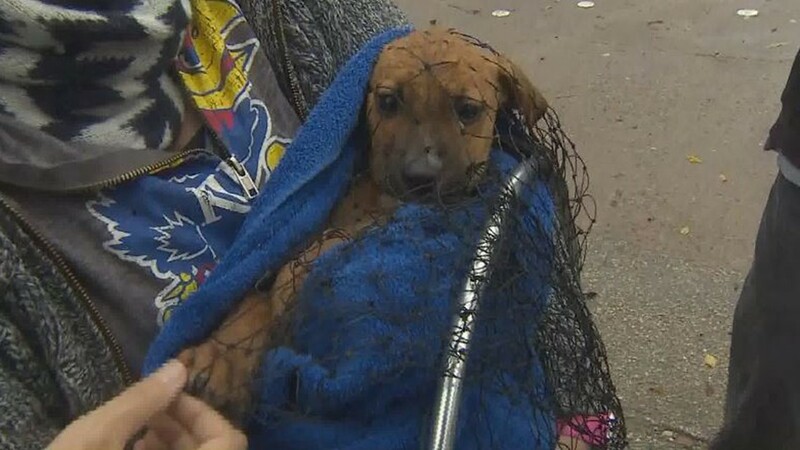 Dougherty handed D'Amico the net and he scooped the second pup out of the water. "One of them kind of put up a fight. It was biting at us and stuff. It was just scared," Mengden said. After the rescues, the group shared happy tears, high-fives and hugs. The puppies, their six litter mates and their mom had been running around the neighborhood near Yale and Marathon for weeks. Six of them were rescued separately over the last few weeks and some are already in foster homes. All of them will eventually be up for adoption. Contact Reggie's Friends if you're interested in fostering or adopting them. 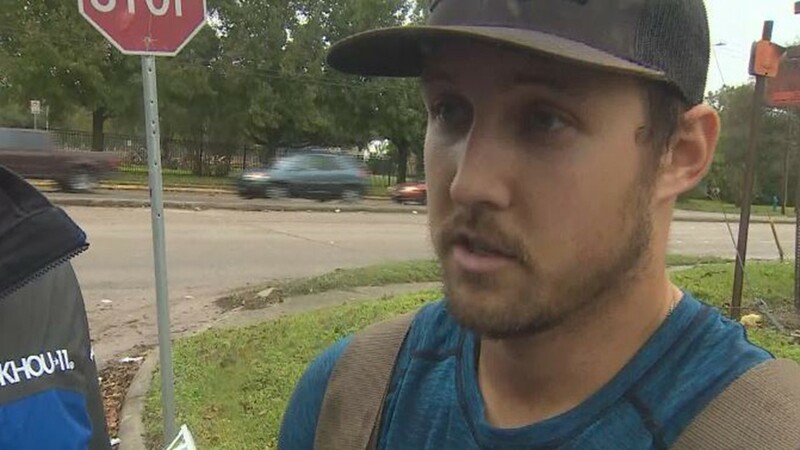 Thanks to these heroes for Standing for Houston by standing up for homeless animals.